In a large bowl, beat cream cheese at medium speed with a mixer until smooth. 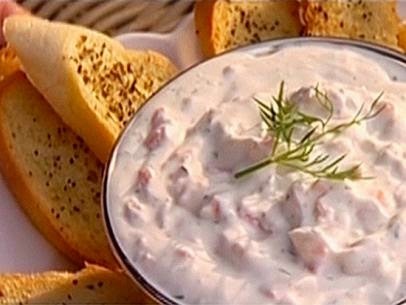 Gradually add sour cream, and beat until smooth. Beat in dill and next 3 ingredients until smooth. Stir in salmon until combined. Cover and chill until ready to serve or up to 4 hours. Serve with toasted baguette slices and celery sticks.